The meat pie at St. Lawrence. The beer and cheddar soup at Tuc Craft Kitchen. The meat rigatoni from Osteria Savio Volpe. 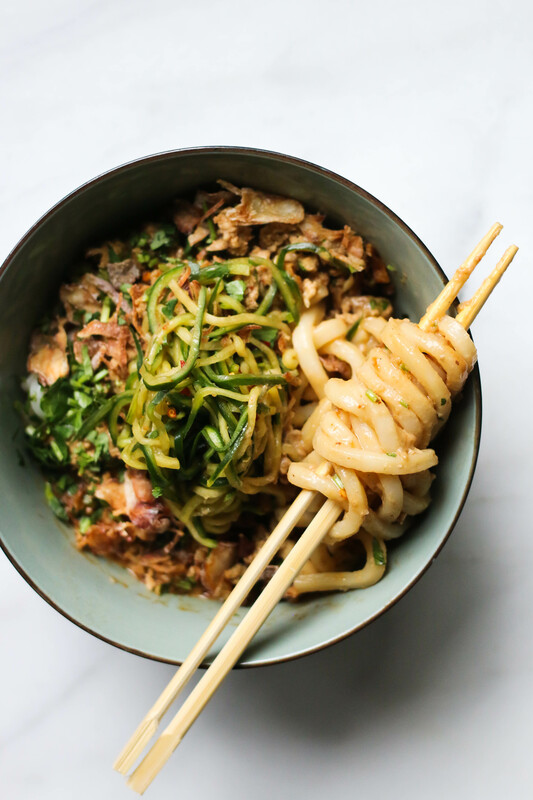 The dan dan noodles from Heritage Asian Eatery. The prime rib dinner at the Teahouse in Stanley Park. While some may lament the onset of a Vancouver winter, there is reason to revel in the cold, rainy season—namely, for the ideal comfort-food atmosphere that it cultivates. Now is the time to indulge in the rich soups, saucy noodles, and hearty meat pies that the season demands. While there is no shortage of excellent options across the city, here are five standout dishes to keep top of mind this winter. The meat pie at St. Lawrence. This Railtown restaurant doubles down on refined coziness with its homey elegant atmosphere and protein-forward menu of French-meets-Québécois specialties from chef J.C. Poirier. 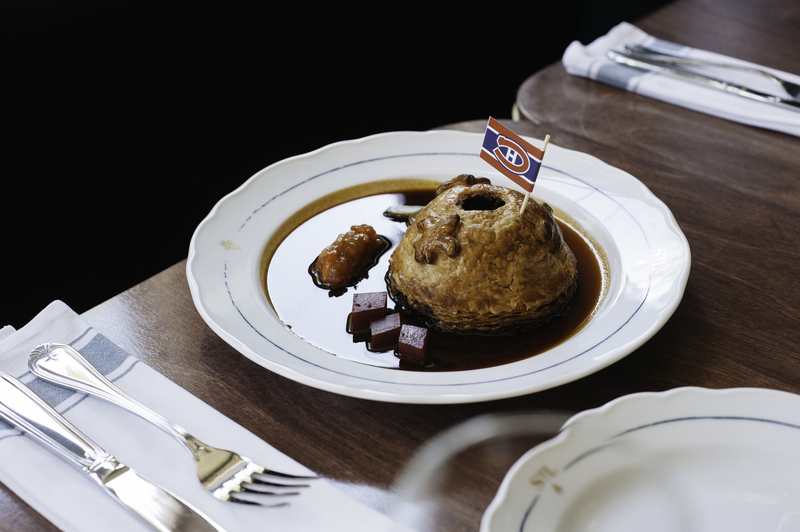 The tourtière or meat pie—a French-Canadian classic that can be difficult to track down on the West Coast—finds venison stuffed within a golden-brown pastry crust and topped with a mini Montreal Canadiens flag. Surrounded by glistening, rich jus, the tourtière is an island of savoury delight to maroon yourself upon this winter. The beer and cheddar soup at Tuc Craft Kitchen. 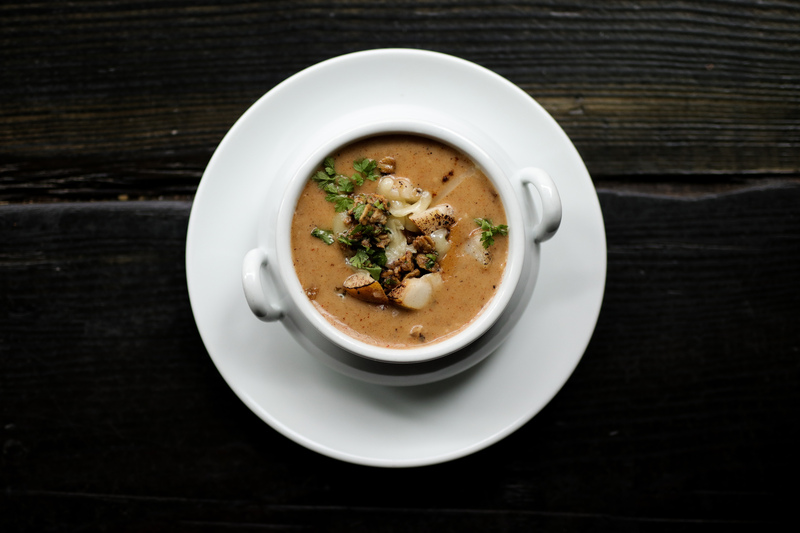 In honour of its fifth anniversary, the industrial-chic Gastown eatery has brought back beloved dishes from the past, including the velvety rich beer and cheddar soup. Chef Roy Flemming drew inspiration from childhood apple picking outings with his family for this recipe, incorporating gala apple and cider alongside a generous helping of sharp cheddar and 33 Acres of Sunshine, a local wheat ale, and finished with a crispy cinnamon oat crumble. This is one that will have you scraping the bottom of the bowl. The meat rigatoni from Osteria Savio Volpe. The bearded, tattooed chef Mark Perrier may be a far cry from your Italian grandma, but his rigatoni at Osteria Savio Volpe is as comforting as a hug from nonna. 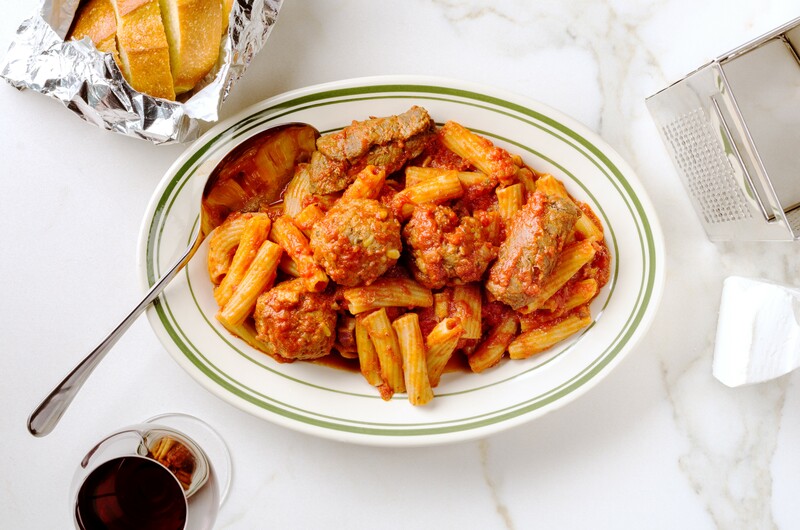 The dish sees a slow-cooked tomato Sunday sugo or “sauce” paired with house-made rigatoni and a protein parade of beef braciola, meatballs, and pork riblets. This dish has been on the menu since the sleek Fraserhood tavern opened in 2015 and has been sating pasta-loving Vancouverites ever since. The dan dan noodles from Heritage Asian Eatery. Chef Felix Zhou’s take on dan dan noodles calls for duck in lieu of pork with thick, toothsome udon noodles coated in a creamy peanut sauce. Pickled cucumber, cilantro, and green onions bring zest and balance to this rich dish, which has earned somewhat of a cult following among the lunchtime crowds of Heritage Asian Eatery’s downtown location. Order alongside a steamy green tea for the ultimate cold-weather escape. The prime rib dinner at the Teahouse in Stanley Park. Nestled into the trees of Stanley Park and overlooking the ocean, the Teahouse has been serving the city for 40 years, with its light-filled dining rooms and scenic views. 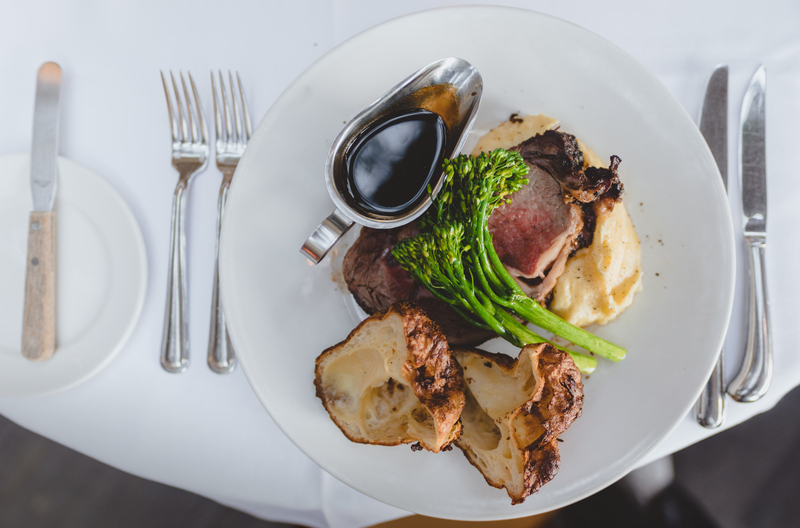 A new addition to the menu, yet one that feels very intuitive for the traditional restaurant, is its Sunday night prime rib dinner, a three-course meal starring a slow-roasted cut of prime rib served with warm gravy and a fluffy Yorkshire pudding. During the Christmas season, pair with a stroll through Stanley Park’s dazzling light display for a festive, feel-good evening.